Unless you're the type to love the look of a Resolute desk–style behemoth that takes over an entire room, a minimalist desk is likely more your style. It's only natural that simple and streamlined desks have risen in popularity in recent years. No one needs the large corner surfaces that hold at once a computer tower, monitor, printer, or, worse, fax machine. All we need is a space for our laptops and maybe a lamp. We could even argue that a minimalist desk forces you to stay ultra tidy: a simple small drawer is more than enough to hold pens and a few office accessories so you don't end up with a bottomless supply of things you don't actually need. It might even force you to digitize your paperwork (something we should all frankly be doing already). Ready to overhaul your home office space? Here are our favorite minimalist desks that will help boost your productivity. 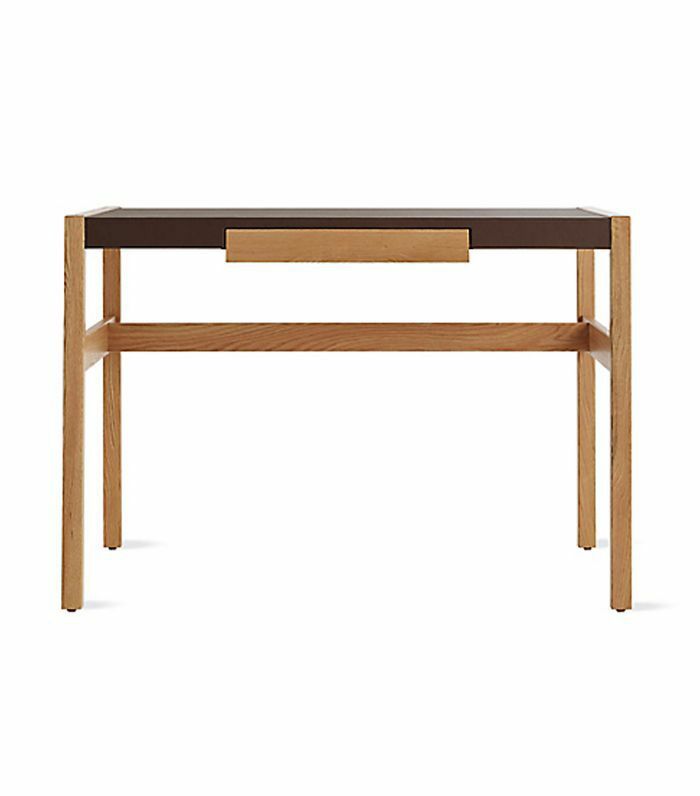 Hide your clutter in one fell swoop with this console desk, which features a sliding top to conceal your workspace. 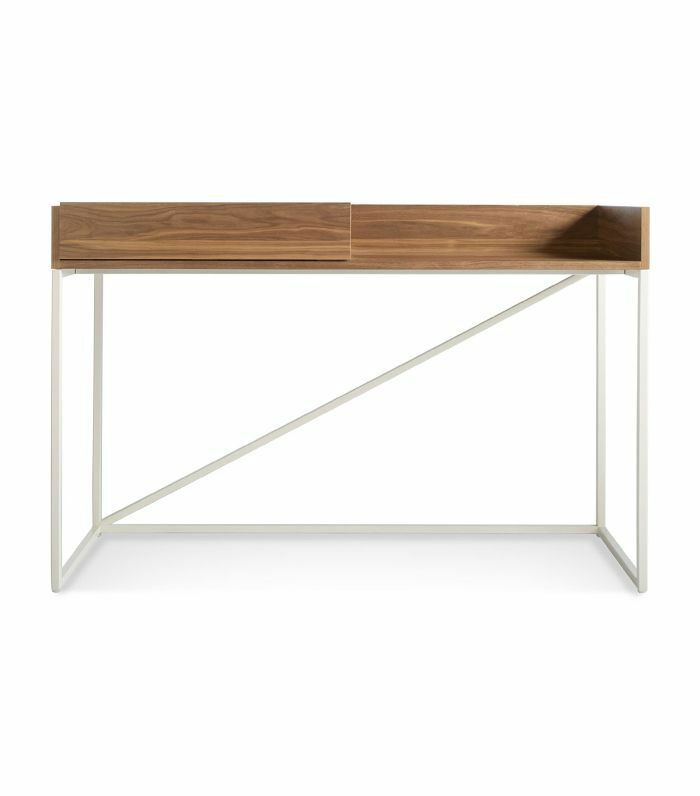 If you're looking for a minimalist desk that also makes a striking statement, this Gubi desk is for you. 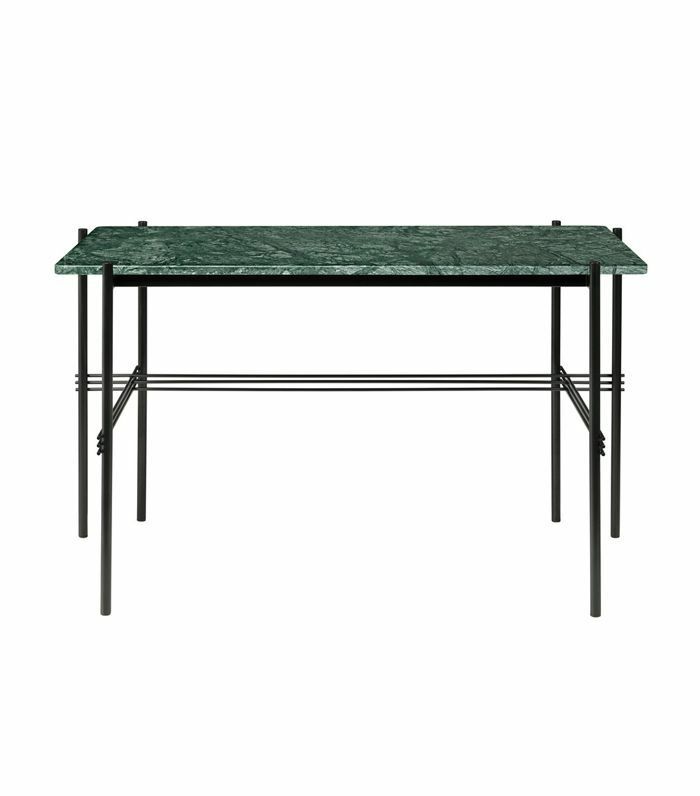 Featuring a crisscross base and a stunning green marble top, it's a piece that will never go out of style. 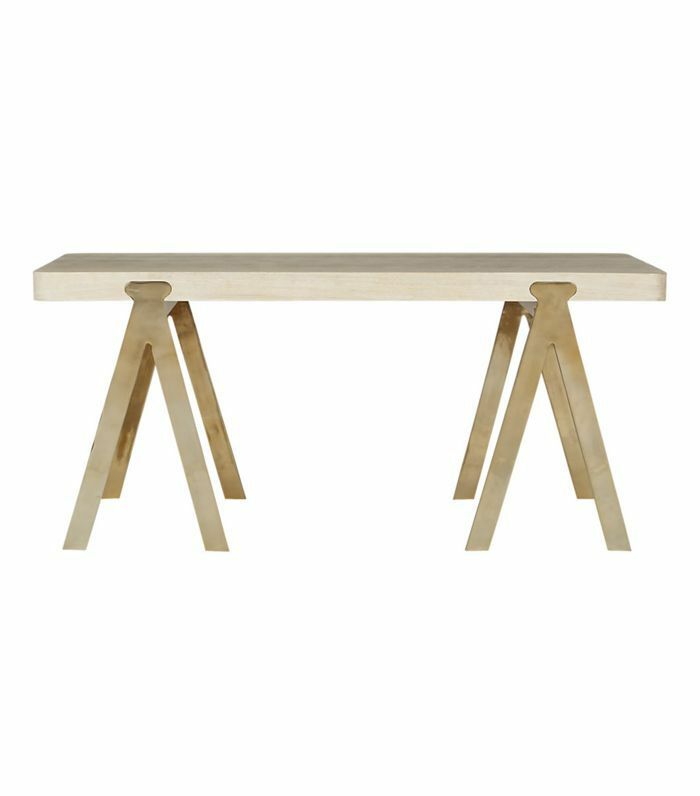 This heirloom piece by Ross Cassidy for CB2 features a whitewashed oak surface and beautiful sawhorse-style gilded legs. Buy it now, keep it forever. 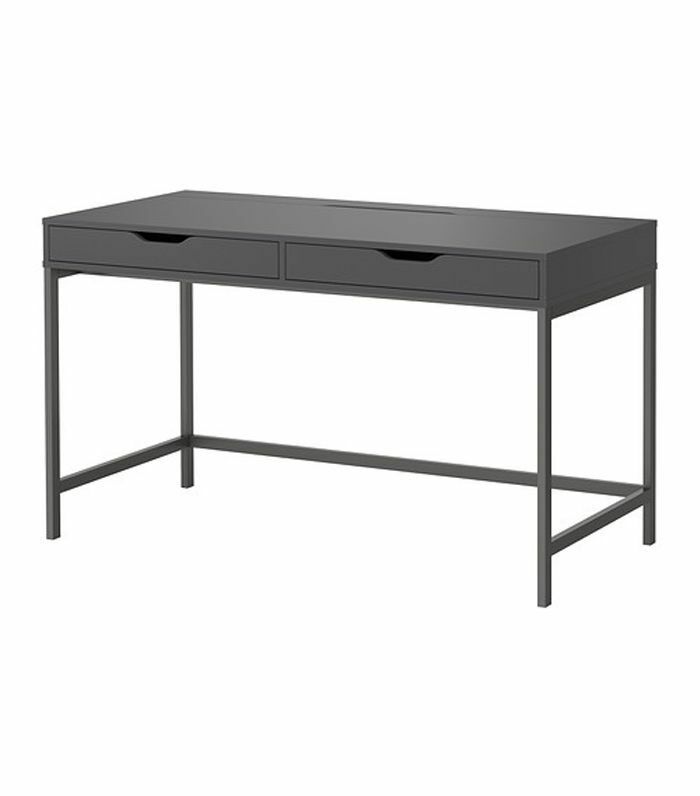 This clever IKEA desk conceals unsightly cables, giving your space a super-clean and minimal look. This also makes for a great desk to float in the middle of the room. 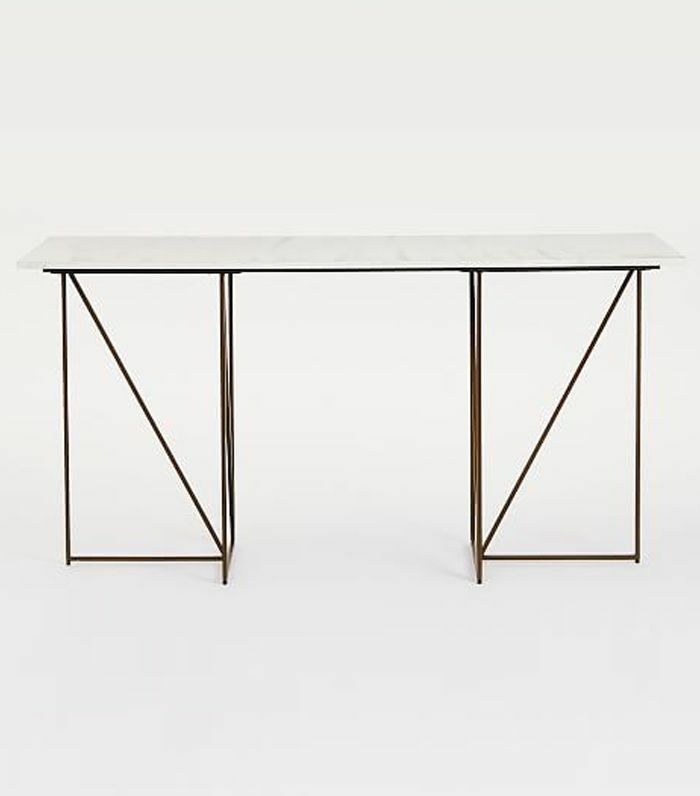 Skinny geometric brass legs and a richly veined marble top gives this desk an elegant flair in the most understated way. Better yet, it's Fair Trade Certified. This desk-and-bookshelf combo virtually disappears on a white wall, leaving room for your objects to shine. Style it up or dress it down. 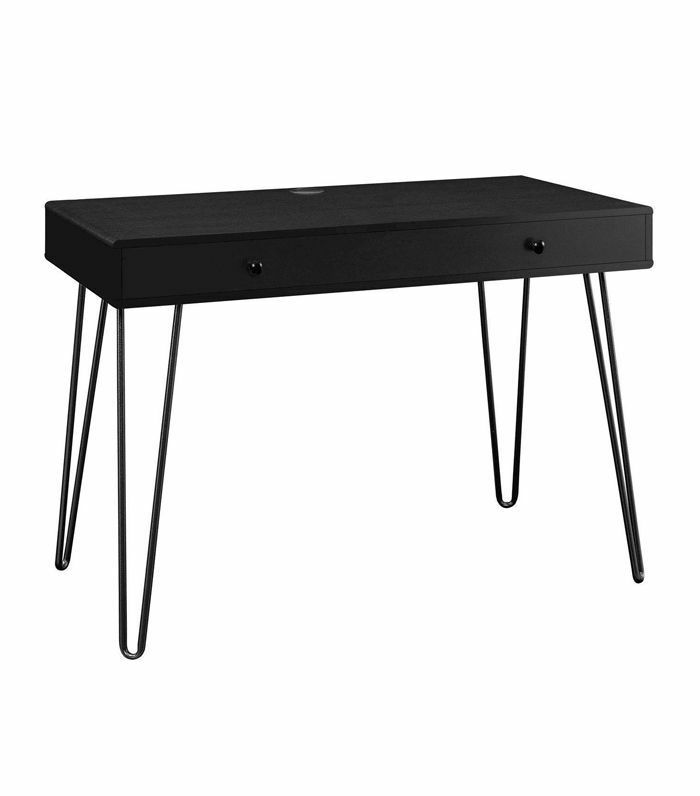 Midcentury lovers will enjoy this all-black desk with simple hairpin legs. They may even like the desk's price even more. 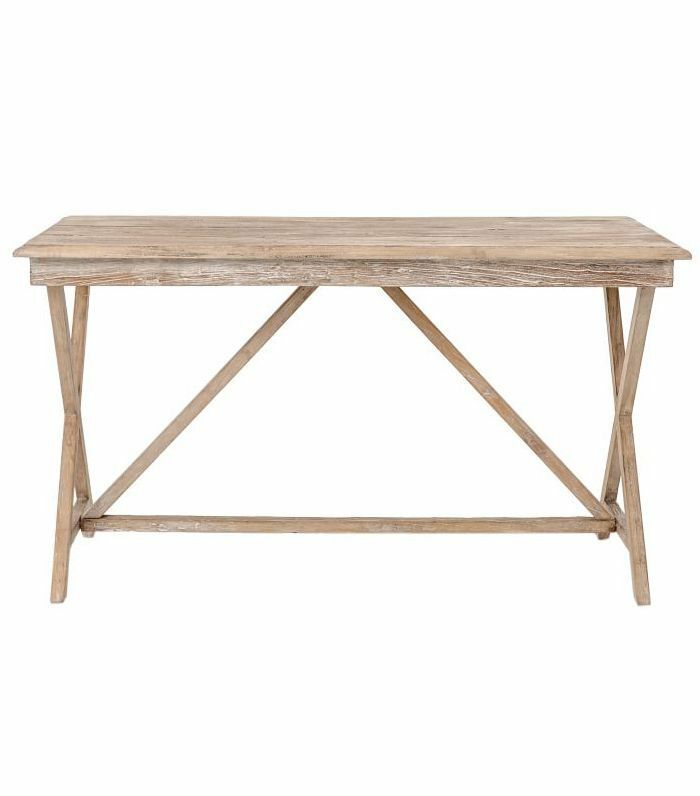 With this desk, Pottery Barn has achieved the perfect balance of beachy and minimal. Our favorite feature: side panels that pull out to provide additional surfaces. 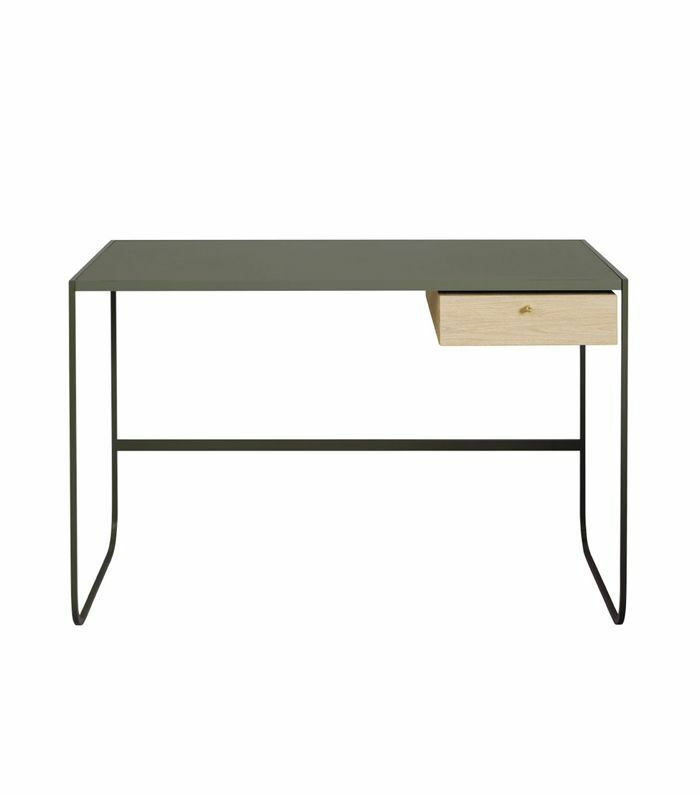 This is possibly the most minimalist desk that could also pass as a vanity. 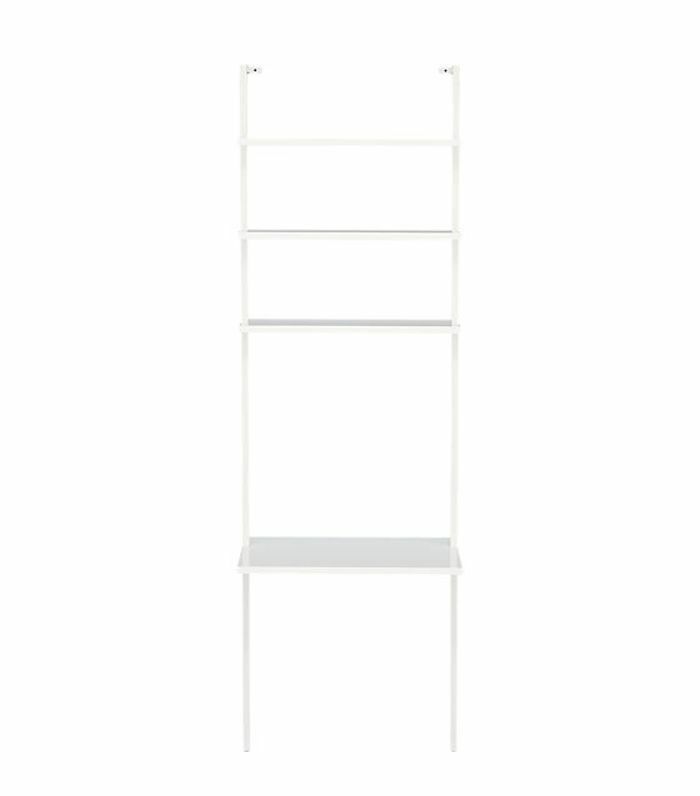 It's available in multiple colorways and features an elevated brass shelf that we just love. 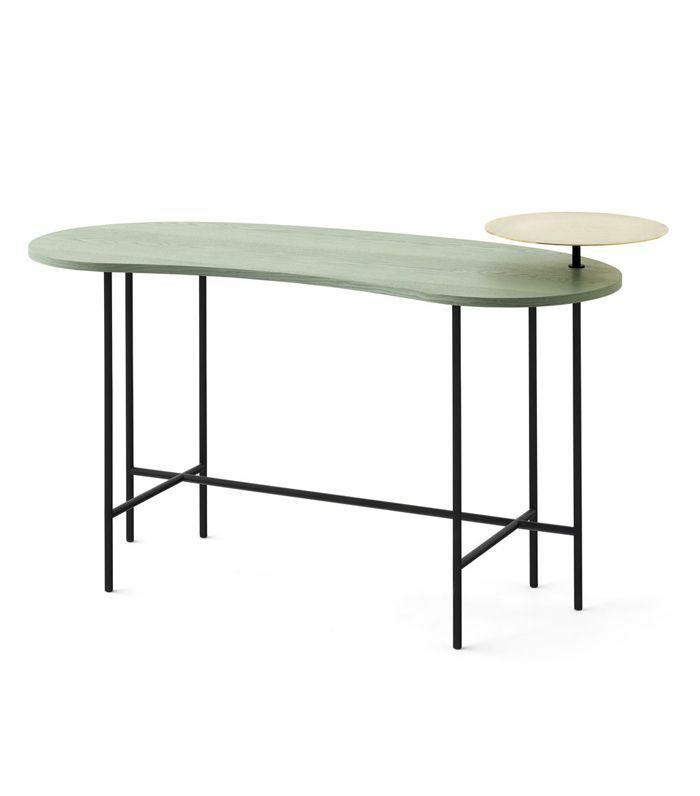 Target's answer to a minimal British colonial desk is this elegant caned number from its Opalhouse collection. Pro tip: It looks more expensive than it is. 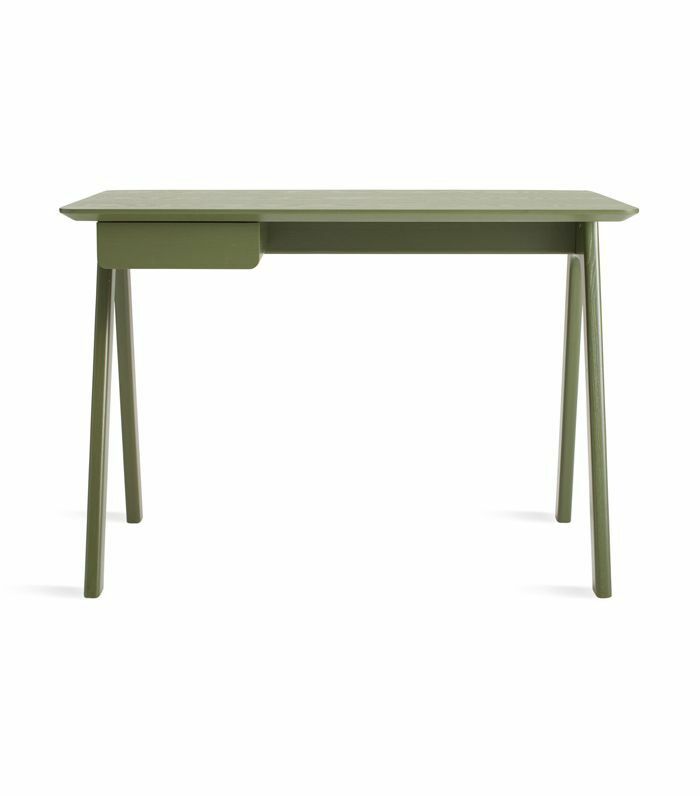 This small desk is ideal for small spaces or kid rooms, and it comes in five colorways. A pencil drawer keeps office supplies tidy. This chic, timeless desk by legendary designer Jens Risom was first designed in 1968, yet it still stands the test of time today. The top is coated in rich chocolate leather for an extra-elegant touch. 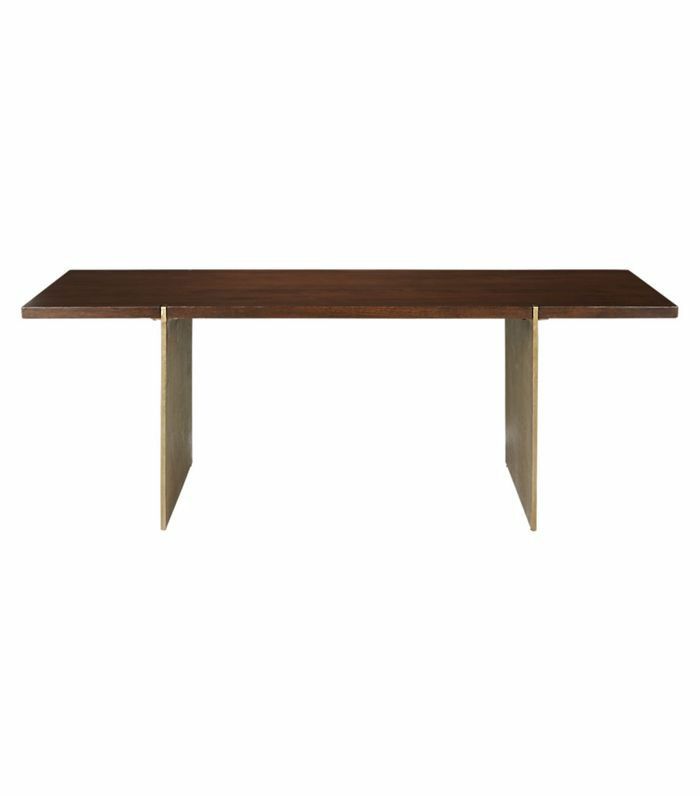 Designed by Fred Segal as part of his Cali-cool collection for CB2, this table mango wood table features antique brass legs to create a beautiful statement piece that will stand the test of time. 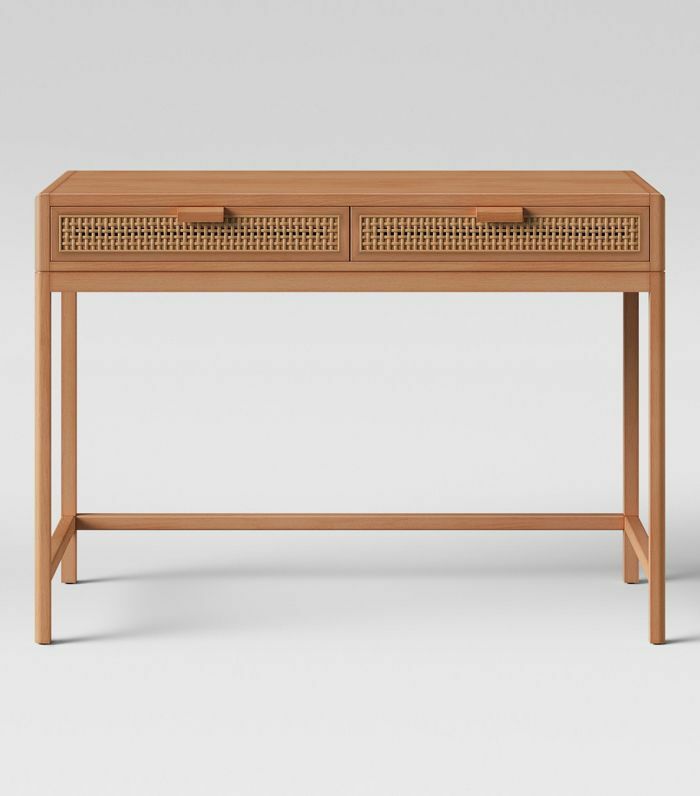 With its beautiful simplicity, this small-scale desk is available in multiple colors and finishes. We particularly love the white oak drawer with a brass pull. Next up: three desk plants that can survive a long weekend at the office.